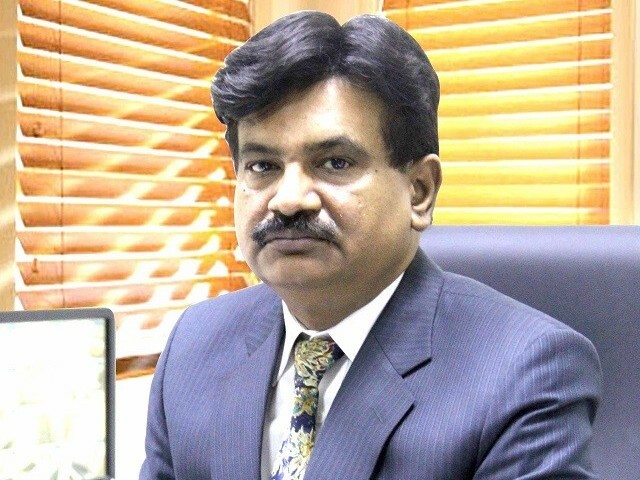 ISLAMABAD: The National Accountability Bureau (NAB) on Monday arrested Engineer Qamarul Islam Raja – former chairman of Punjab government’s the Saaf Pani Company – for his alleged role in awarding contracts to ‘favourites’. He is also the Pakistan Muslim League-Nawaz (PML-N) pick in the general elections against party’s disgruntled leader Chaudhry Nisar Ali Khan from Rawalpindi’s NA-59 constituency. Interestingly, the arrest took place within 24-hour after Raja’s nomination as the PML-N’s candidate at the NA-59 and the PP-10 constituencies of Rawalpindi against disgruntled PML-N leader and former interior minister Chaudhry Nisar Ali Khan. NAB also took into custody another accused in the case, Waseem Ajmal Chaudhry, who served as the chief executive officer (CEO) of the company. 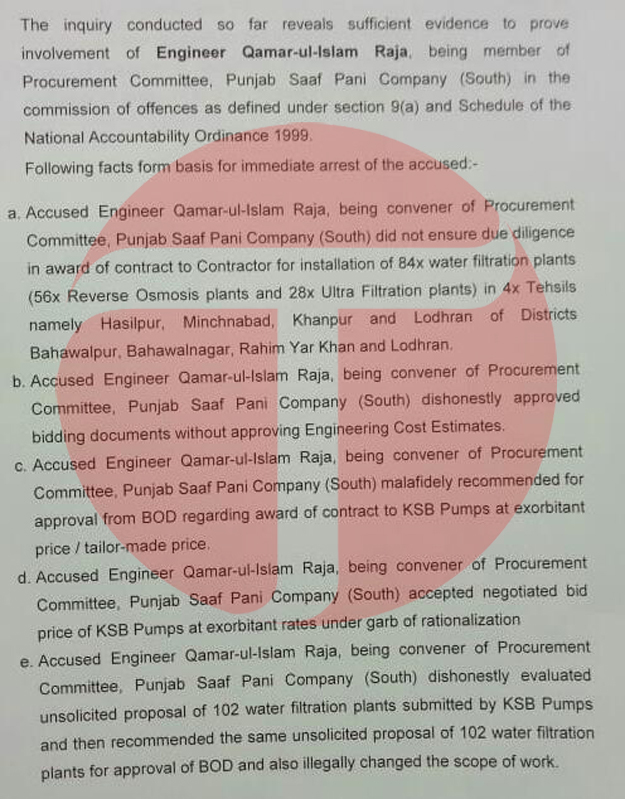 According to a statement issued by NAB following the arrests, Raja, as one of the members of the company’s procurement committee allegedly awarded contracts of 84 water treatment plants at significantly higher rates to ‘favourites’. These plants were supposed to be installed in areas of Hasilpur, Manchanabad, Lodhran, and Khanpur. 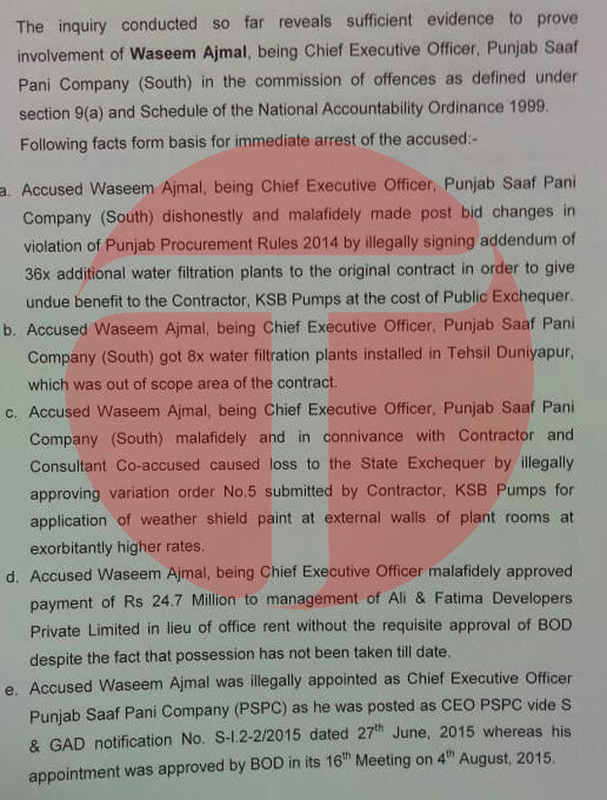 “In a deceitful manner, the accused (Raja) enhanced the estimates of amounts of plants in bidding documents and later awarded the contract to the KSP Pumps Company as in-charge procurement committee,” the statement read. Additionally, NAB said, he also approved the contract of 102 water filtration plants to the KSP after getting approval from the board of directors and made post tender changes in the contract documents. The company’s former CEO Chaudhry, on the other hand, is accused of changing the bidding documents of projects after completion of the bidding process in violation of Punjab Procurement Rules 2014. Chaudhry also allegedly approved the installation of eight filtration plants illegally at Tehsil Dunyapur whereas the area was not included in the original contract. He also changed some clauses of the contracts in collaboration with project consultants. 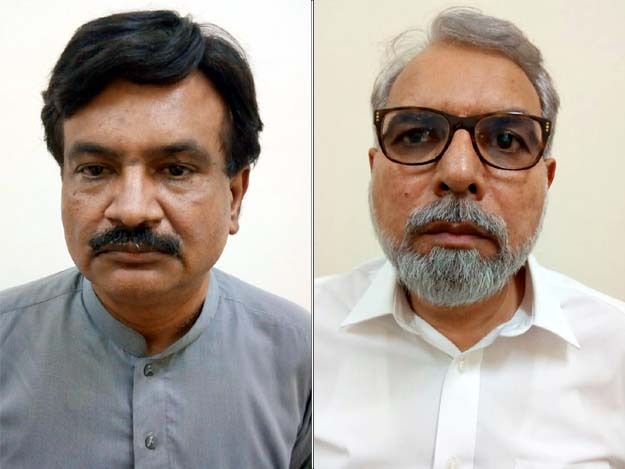 Raja, who was elected as an MPA on the PML-N ticket from PP-5 (now PP-10) in the 2013 general elections, was earlier grilled by a combined investigation team of NAB Lahore in connection with an ongoing inquiry into the scam. Saaf Pani Company is one among 56 public limited companies formed by the Punjab government soon after assuming power in the province in 2013. All these companies are now being probed by NAB. “Both the accused will be presented before accountability court today (Tuesday) for grant of their physical remand,” NAB statement added.